Jesus said we must have faith like a child. So our course we want to cultivate the faith of our upcoming generations! Not only will your child be safe and watched while you sit in service, but we pride ourselves in an environment where Jesus is preached. 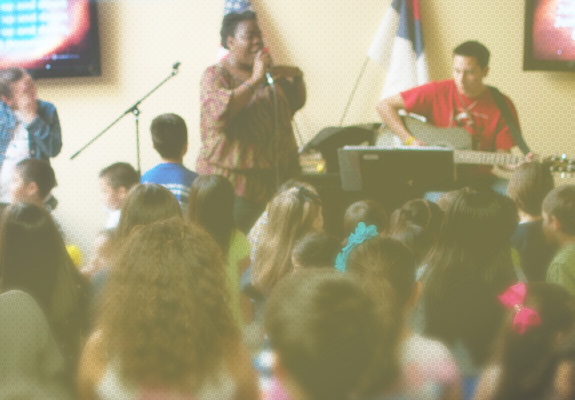 No matter what age your child is, live worship music, crafts, and studies are provided for our students. In addition to Sunday and midweek service childcare, we offer a number of activities for you and your child to participate in! Jump on the Bible bus and earn "talents" to redeem at the talent shack by memorizing scriputures, helping others, or obey God's rules. Children's Ministry also has events for you to get involved with like summer camp, Vacation Bible School, Boy Scouts, and Cub Scouts. Our teachers are trained through our leadership overseers and finger-printed in through the state of California. Creating a safe, learning environment for all children, including special needs, is important to us!